About SICK spol. s r.o. Local Management SICK spol. s r.o. SICK spol. s r.o. 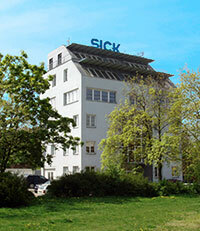 is a subsidiary for the Czech and Slovak Republic of the famous German company SICK AG which operates in the global market for over 70 years and is one of the leading producers of sensors and sensor systems for industrial use like inductive, capacitive and magnetic sensors, vision systems, safety light curtains and scanners, barcodes and 2D codes, gas analyzers and many other products. SICK spol. s r.o. has currently over 70 employees and 15 sales representatives. It offers an extensive portfolio of products for industrial and process automation, security systems, automatic identification, professional customer support and cooperation in the design of machinery and complete lines, including service activities. SICK spol. s r.o., o.z.